With the new year, I decided I needed to make a conscious decision to make some changes in my life, the gym being one of them. I had been on the fence for quite a while about weather or not to join a local gym and get serious about my fitness routine. Recently a brand new Gold’s Gym opened in my neck of the woods and I just had to check it out. 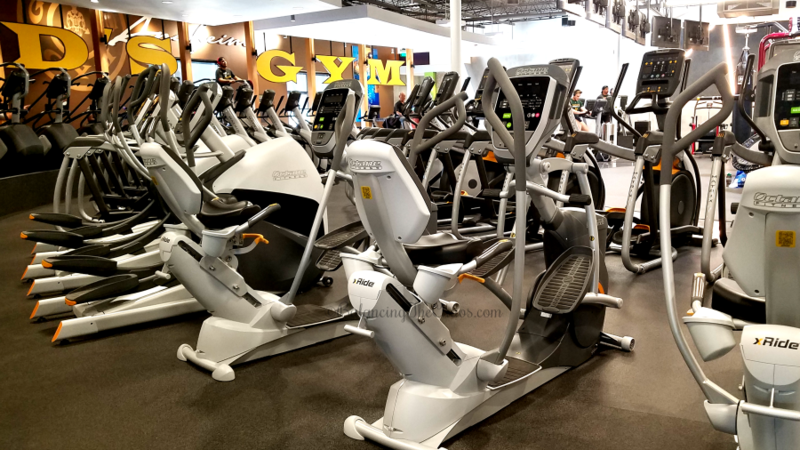 Gold’s Gym Anaheim/Garden Grove is now open with the newest 38,000 square foot location with state of the art equipment, and a cardio cinema. 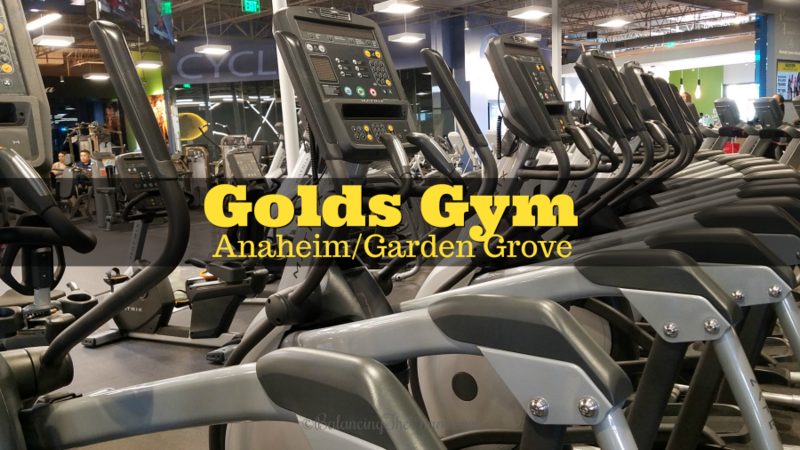 I was invited to experience, first hand, the new state of the art Gold’s Gym in Anaheim/Garden Grove. I was taken on a guided tour of the facility and was excited to get started, creating a new fitness routine. The first thing I noticed was the feel of the place. Walking through the brand new, state of the art equipment, I noticed that the members I saw on the machines seemed dedicated to fitness. The determination on their faces as they were working the machines and those individual working with trainers, inspiring. One of my favorite features of this new gym is right behind the above, pictured doors. The Cardio Cinema Theater is simply awesome. 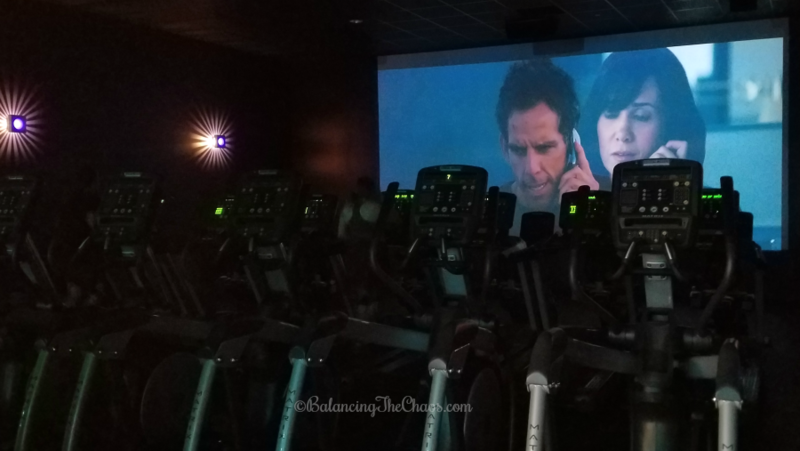 A jumbo screen offers members something to do while completing their cardio workout. Each day, there is a feature movie shown. Members have the option to utilize one of the many elliptical machines, treadmills or exercise bikes lined up in front of the big screen. While watching movies like Harry Potter, The Secret Life of Walter Mitty and Kubo, my workout flew by while I was lost in what I was watching. I am still learning my way around the gym, and with the help of diagrams on the equipment, I’m able to target the areas I feel need the most work. I’m also excited about the opportunity to check out the fitness classes, like Zumba and UJam. After a great workout, I also enjoyed the massage bed. 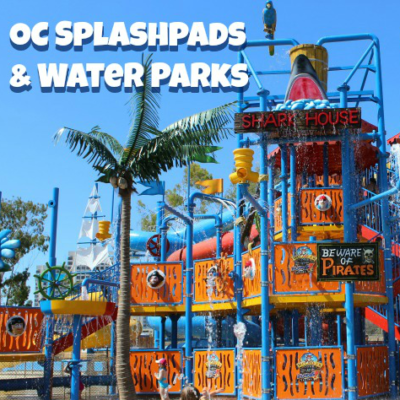 Want to check out the new gym? Visit Gold’s Gym’s website: https://www.goldsgym.com/ and find out how to get a free pass to try it out for yourself. Since 1965 Gold’s Gym has built a Legacy of Strength – a legacy that goes back to the very first Gold’s Gym in Venice, California. 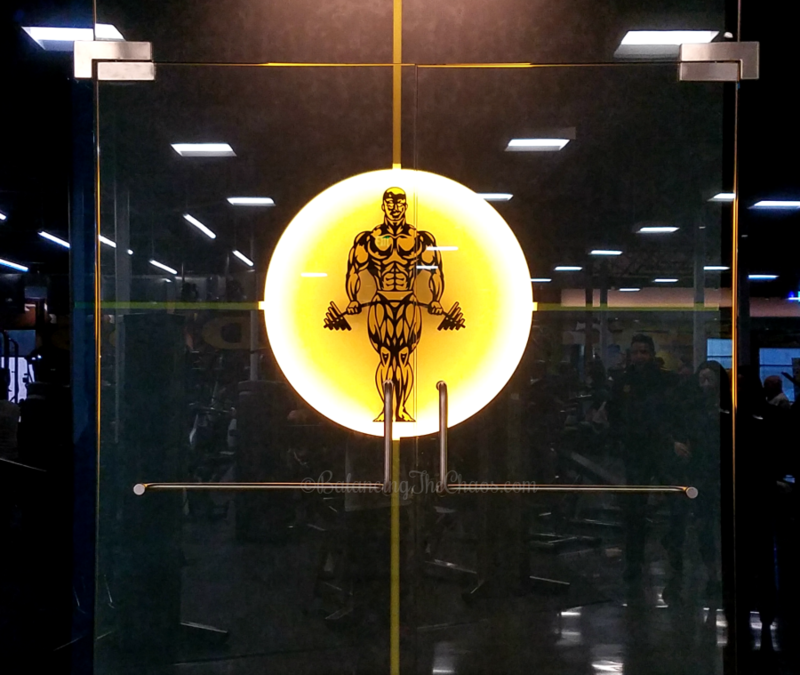 Fifty years later, Gold’s Gym is the most recognized gym chain in the world with more than 700 locations in 38 states and 23 countries. For the second year in a row, J. D. Powers ranked Gold’s Gym “Highest In Customer Satisfaction Among Health And Fitness Centers.” Gold’s Gym offers the latest equipment and services, including group exercise, personal training, cardiovascular equipment, group cycle, Pilates and yoga. With nearly 3 million members worldwide, Gold’s Gym helps all kinds of people achieve their potential through fitness.